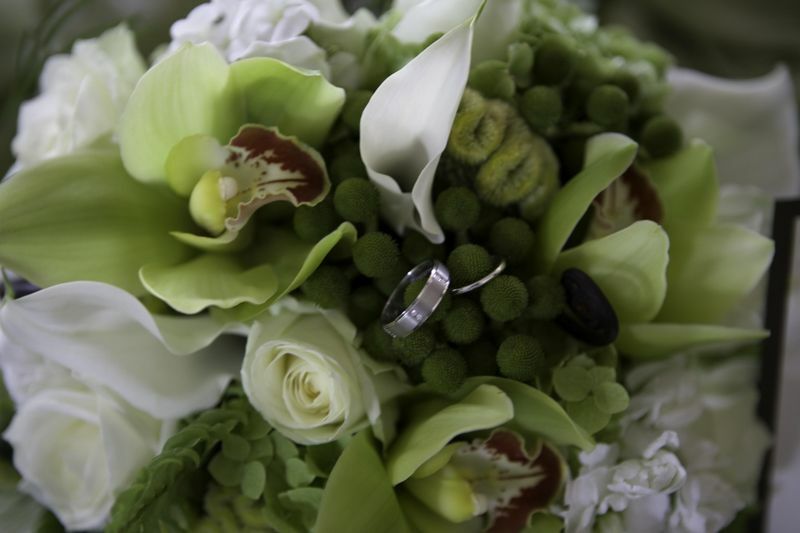 Holly Heider Chapple Flowers Ltd. has just received photos from yet another perfect wedding. These pictures are from a wedding last July. The photographer is Marc Kent Photography. 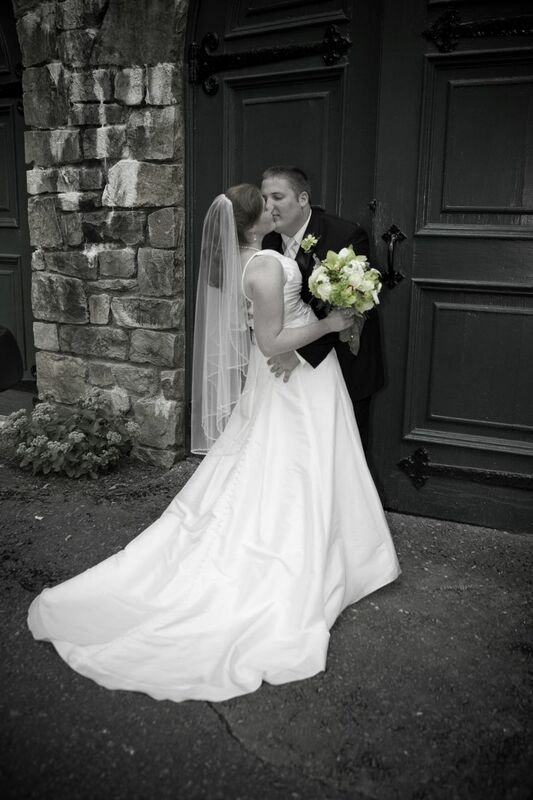 I loved this wedding it was on the top of Sugar Loaf Mountain at the Strong Mansion. Nikole the bride and her mother were really wonderful to work with. They had a absolute vision and they knew I could deliver. The flowers were perfect, the venue extraordinary and these photos are pretty awesome as well. I hope to have more photos soon that show this whole event. The colors of the day were sage green, cream and chocolate brown. 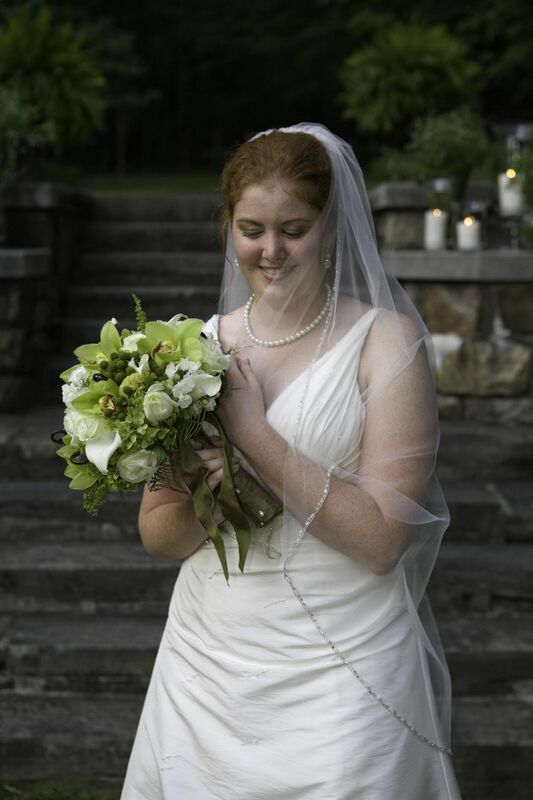 The bridal bouquet was created of cream and green roses, green cymbidium orchids, white stock, white phlox, white mini callas, green hydrangea from my garden,berzilia, brown fiddle head fern and green coxcomb. The girls bouquets were of cream hydrangea, the brown fiddle head fern and green accents we also used a special fern from Australia. 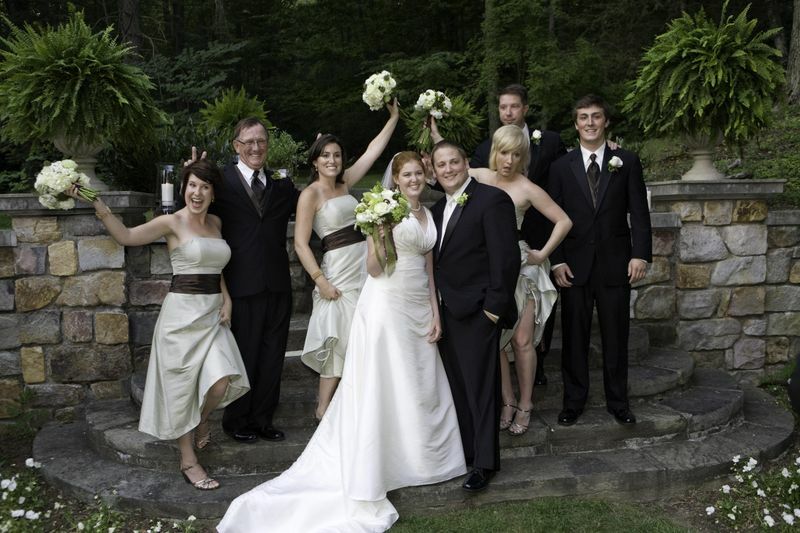 This is a fun shot of the wedding party. 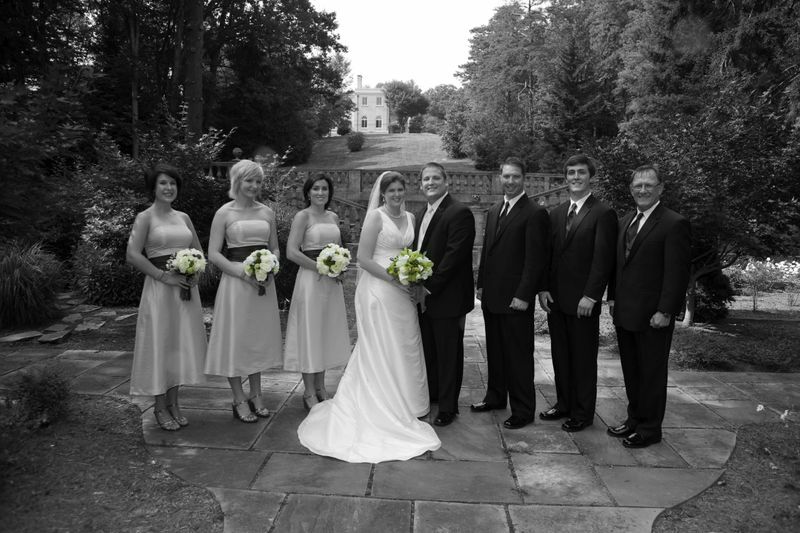 This shot shows a more serious side as well as the beautiful views at Strong Mansion. 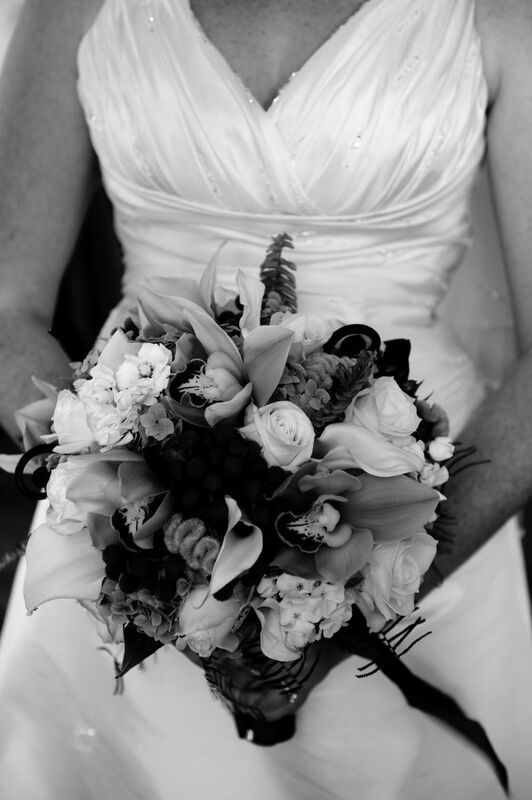 I just love these photo’s also, I would never think black and white could do my flowers justice but it looks like Marc pulled it off.